At a press conference last Friday, Republican presidential candidate Ben Carson responded to allegations that he lied about various aspects of his past, including whether he received a scholarship to West Point (apparently he never applied) and whether he was violent in his youth. In turn, Carson exhorted the media not to lie in its coverage of him. Why all the fuss about lies? Of course, we might care about getting things right: knowing whether or not Carson did, in fact, receive a scholarship from West Point, or whether he really was declared "the most honest student in the class" at Yale. But another reason we care about lies is because they signal something about a person&apos;s moral character. If someone&apos;s intent is to mislead or deceive, that&apos;s pretty bad — even if the content of the deception is relatively inconsequential. 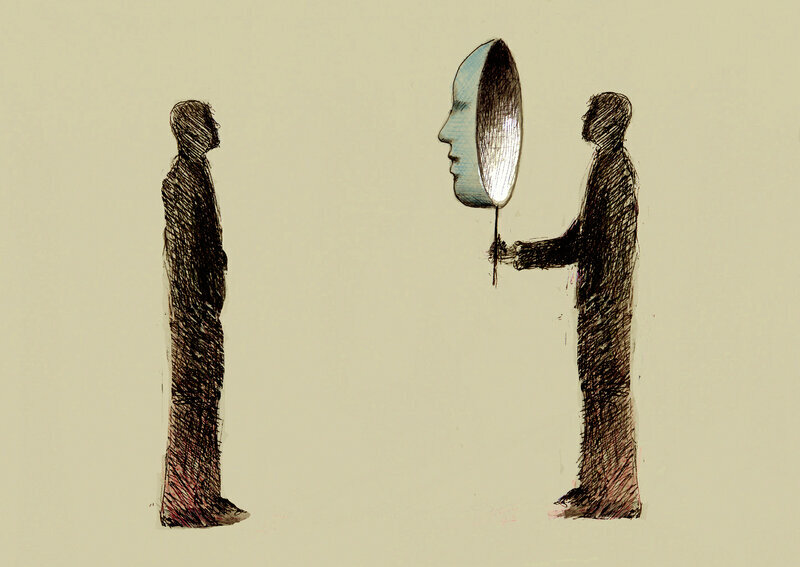 In other words, sometimes we might care more about identifying liars than identifying lies. And if that&apos;s true, we should expect it to be reflected in our very notion of what constitutes a lie. In fact, many dictionary definitions of lying focus only on deceptive intent, without regard to an assertion&apos;s actual truth. A person&apos;s utterance might be considered a lie, for instance, if the person believes the utterance to be false and communicates it with the intention to deceive. This seems intuitive enough, but it allows for "truthful" lies. Suppose I don&apos;t want you to know my real weight, so I tell you it&apos;s 120 lbs., all the while believing it to be 130. But in reality, my own belief is false: My weight is in fact 120. Did I lie? If you&apos;re inclined to say "yes" (that I lied), then it seems lies are all about the intent to deceive, even if they just happen to be right. If you&apos;re inclined to say "no," you&apos;re feeling the pull of reality: whether or not the claim is actually true or false. And if you&apos;re not so sure, it could be because our notion of what constitutes a lie depends on both reality and intent, but not in the way you might expect — as a paper published in the journal Cognition in May reveals. The researchers — Angelo Turri and John Turri — were interested in investigating the roles of reality and intent in people&apos;s judgments of lies. To do so, they conducted a series of experiments in which people learned about a person who made some assertion, and they had to judge whether or not it constituted a lie. In their first study, 170 participants each read a short (fictional) story about Mary, who is sought by federal agents. The agents ask a friend of hers, Jacob, where she is. Jacob believes that Mary is at her brother&apos;s house, and either says so (with the intention to be honest) or says she is at the grocery store (with the intention to deceive). In fact, unbeknownst to Jacob, she is at the grocery store, where she is promptly arrested. Did Jacob lie about Mary&apos;s location? Participants&apos; judgments were clear: They said Jacob didn&apos;t lie when his intention was to be honest (even though he was wrong about Mary&apos;s location), and they said that he did lie when his intention was to deceive (no matter that his statement to the agents was actually true). This seems to support the view that lying is all about intent, independently of truth. But Turri and Turri weren&apos;t convinced. In a subsequent experiment, they explored a more subtle possibility. Perhaps we&apos;re inclined to say Jacob lied (even when he unwittingly told the truth) because we want to express our disapproval with his actions. Perhaps he didn&apos;t really lie, but he did something sufficiently bad that it seems more disingenuous to absolve him completely ("He didn&apos;t lie at all!") than to call his truthful claim a "lie." He tried to lie and actually did lie. He tried to lie but only thinks he lied. If all that matters to lying is intent, then it shouldn&apos;t matter whether Jacob&apos;s statement was ultimately true or false: We should consider his statement a lie either way. But if we also care about reality, then we might be inclined to say he actually did lie when the statement was false, but only thinks he lied when the statement was actually true. And that&apos;s precisely what Turri and Turri found: Given the option to acknowledge that Jacob tried to lie, participants restricted their notion of what counted as actually lying to cases in which an assertion was actually false. This line of research can&apos;t, of course, explain Ben Carson or some people&apos;s fascination with his past — those are deep psychological mysteries for another day. But these findings do shed light on why we care so much about lies. It&apos;s not just that we want to get accurate information about the world (though we typically do); it&apos;s also that we want accurate information about people, including whether they&apos;re honest or deceptive. In fact, we care so much about tracking their intentions to deceive that we&apos;ll overlook reality and call truthful statements "lies" when it&apos;s the only way to communicate their deceptive intent. And when their statements are false to boot — as, it would appear, some of Carson&apos;s claims about his past may be — then we certainly won&apos;t hesitate to call them out.